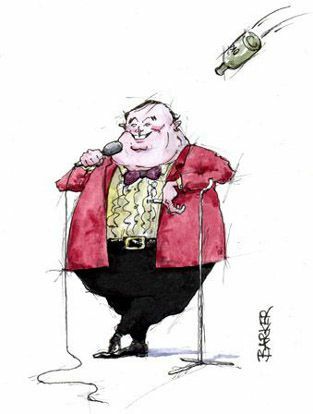 Comedian telling jokes illustration commissioned by Manx Heritage for use as Manx language teaching aid in schools around the Isle of Man. 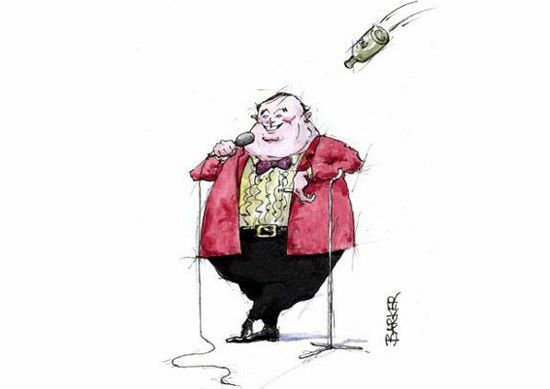 The comedian about to be hit by a tossed bottle. The comedian part of the leisure and entertainers service providers set.